February has absolutely flown by. I know it's a short month but compared to the long draining month of January, February has come and gone in a flash. As you may know, February is my birthday month so I've obviously dragged the celebrations out for pretty much the whole month (don't tell me you lot don't do the same!) 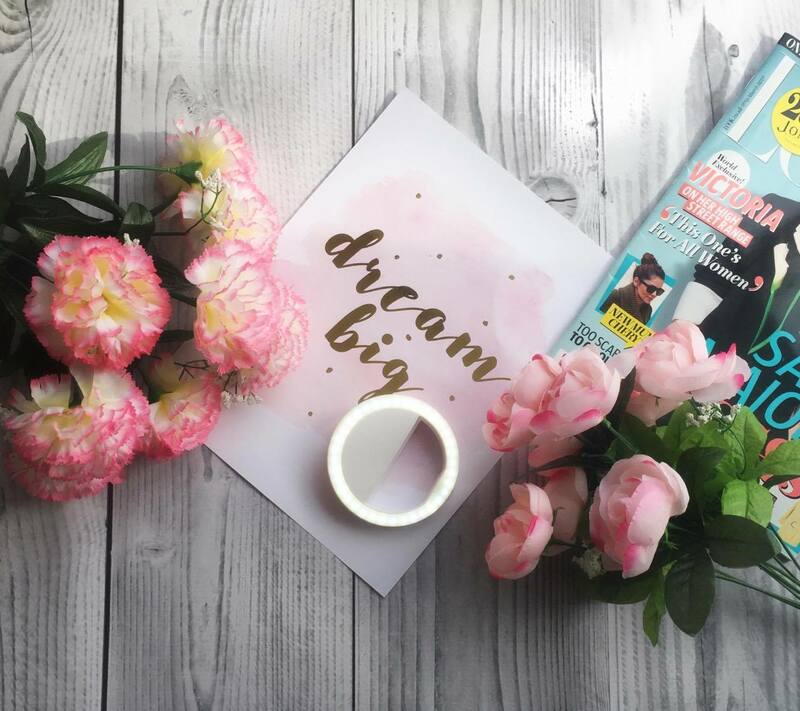 I've got SO many favourites this month that I've been itching to write this post so I'm going to get on with it and show you what I've been loving. These boots are hands down my favourite pair of shoes I’ve ever owned. I was lucky enough to receive these from my boyfriend Jay who must’ve got the hint after I tagged him in numerous Instagram posts about them! They’re a simple pair of black boots; but with a twist! 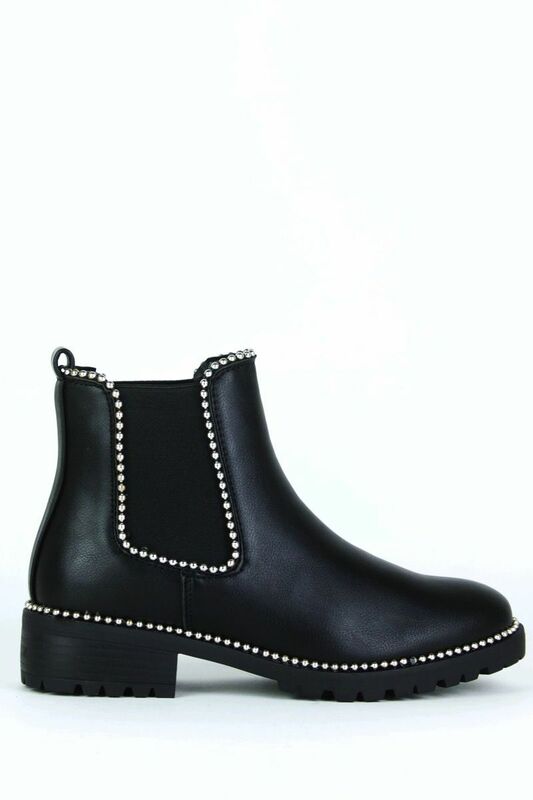 I love the stud details and I get SO many compliments whenever I wear them! I don’t think they’ll ever go out of fashion because they literally go with everything! I wear them with jeans and a slouchy jumper, a denim skirt and a nice top or dresses and tights! They’re a staple item in my wardrobe and I don’t think they’ll ever be replaced! You can get them from Lavish Luxe or Ego shoes. 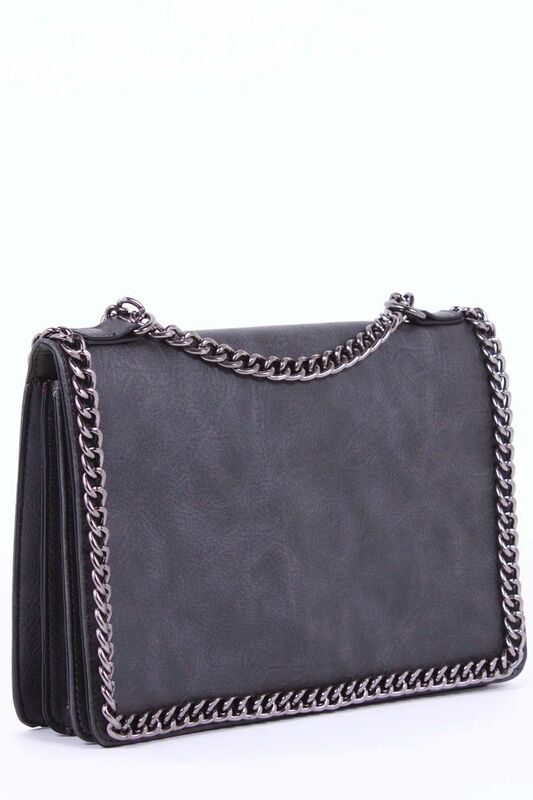 Another birthday gift from Jay was this gorgeous classic black clutch/handbag. It’s the perfect size for me for an evening out. It’s got two compartments that fasten with a zip. I like to use large handbags on a day to day bases and often struggle to just put the essentials in an evening bag so this bag is great as it fits so much in it. I love the silver hardware and the fact that you can lengthen the straps too. You can get the bag from lavish luxe and there’s lots of other colours too; including quilted versions! I’ve already got a few more waiting in my basket!! Go grab one before they’re gone!! After tidying my bathroom one evening back in January I came across some samples of the Body Shop sleeping cream that I’d received at a blogger event recently. I decided to start using it as part of my evening skincare routine and have noticed a big difference to my skin. 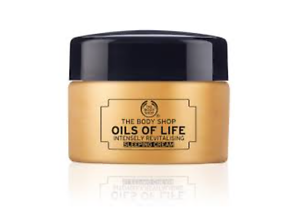 First off, this cream smells like the oils for life range and basically makes me feel like I’m at the spa! It definitely helps me to feel ready for sleep and is extremely hydrating on the skin too. Ok so if you haven’t watched Power on Netflix then before you continue reading this post go over and add it to your watch list. I promise you won’t regret it!! 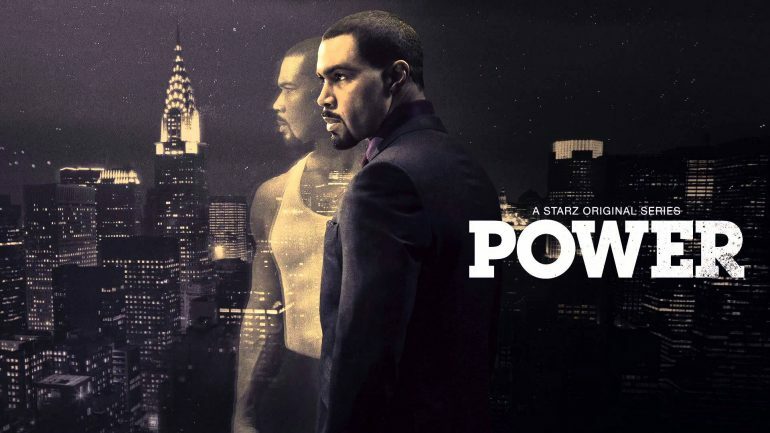 If you’re like me and you love watching prison/crime related series then you will love Power. It’s about a drug cartel in NYC and has four series of gripping episodes. If you like things like Line of Duty and Making a Murder etc you’ll like this. Have any of you seen it? What do you think about it?! If you didn’t know that February is my birthday month then where have you been? I turned 24 on 10 February and the celebrations have continued throughout the month! 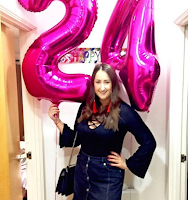 I had birthday meals with family and friends, drank lots of Prosecco and have just returned home from a weekend away in London with my boyfriend! I was so spoilt and have had the best time celebrating! I was surprised with a night out with my best friends and treated to a musical. I am so thankful to all the special people in my life that have made it such an amazing birthday! 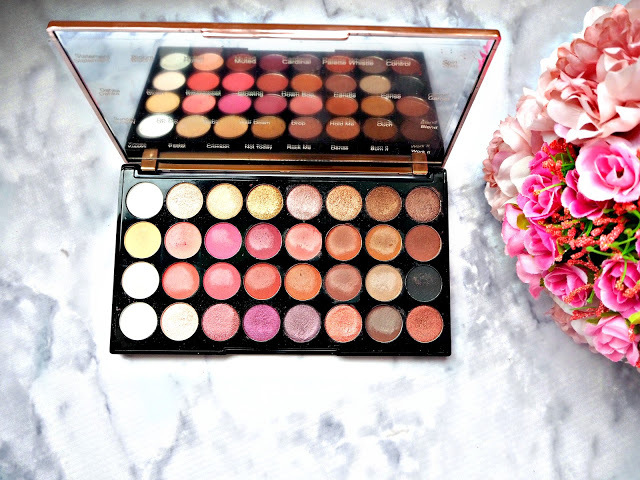 The makeup revolution flawless 4 palette has fast become one of my favourite palettes! Firstly it’s SO affordable at just £8 for 32 shadows and secondly the shades are so beautiful. 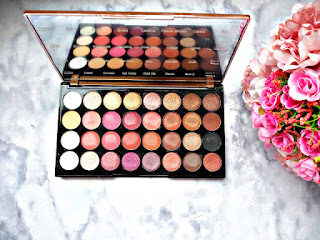 I usually reach for gold/burgundy shadows but the pinks and champagne colours stood out to me in this palette and I’ve been braving the daring shades and have been loving it. You can pick up the palette at Superdrug and there is usually a 3 for 2 offer on as well! 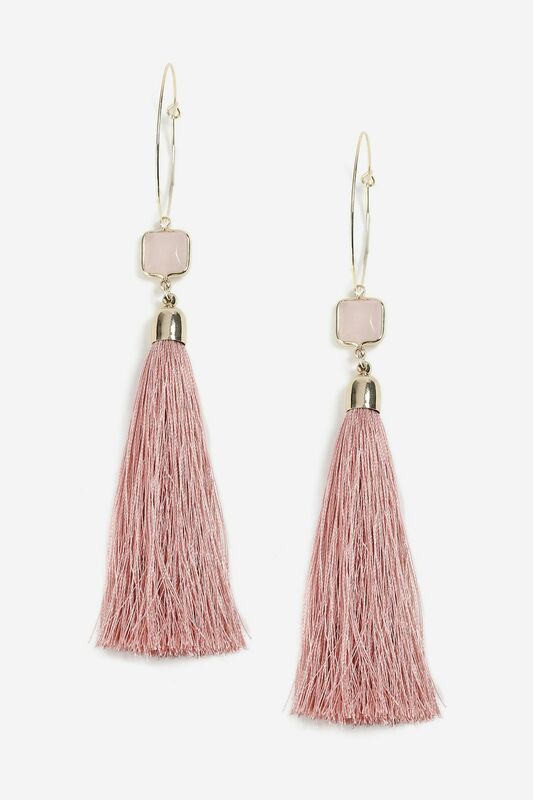 I have been loving the tassel earring trend at the moment after seeing Gabbie rocking them on instagram. Jay absolutely hates this trend but oh well I love it so he can deal with it! 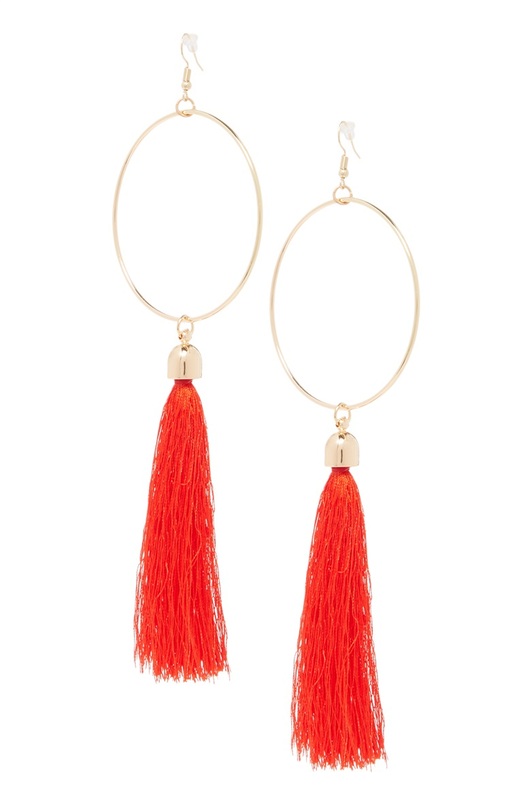 I purchased a couple of pairs of earrings and my favourites are definitely the gold hoops with red tassels! There are SO many on the high street at the moment, particularly primark! My mum and dad bought me this beautiful star sign necklace for my birthday and I’ve not taken it off since getting it. 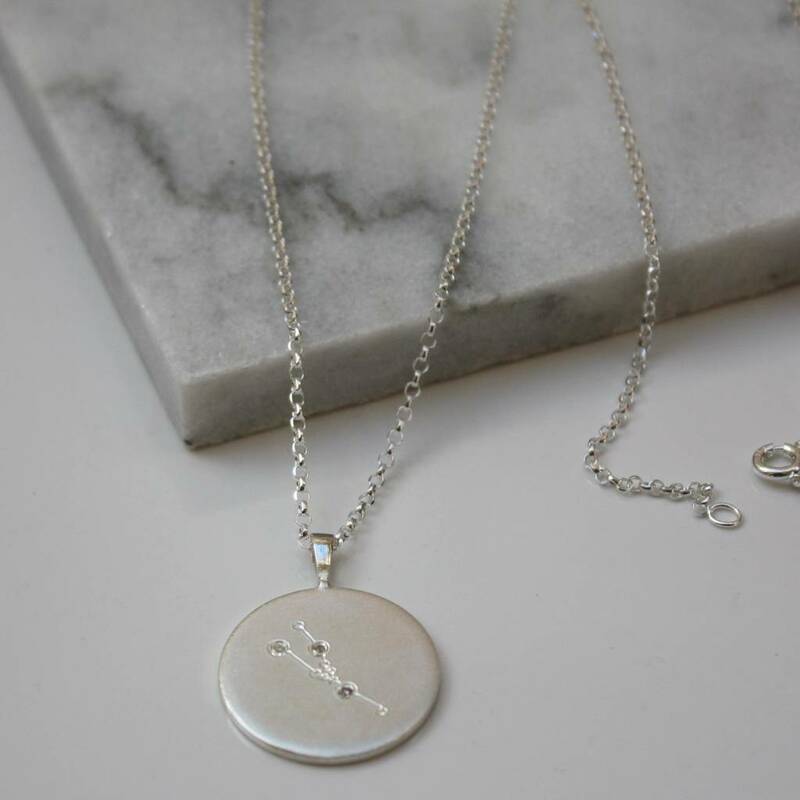 It’s so delicate yet such a statement piece and I love the fact that it has the star sign written on one side and zodiac sign on the reverse. I love it! What were your February favourites? Let me know in the comments below!